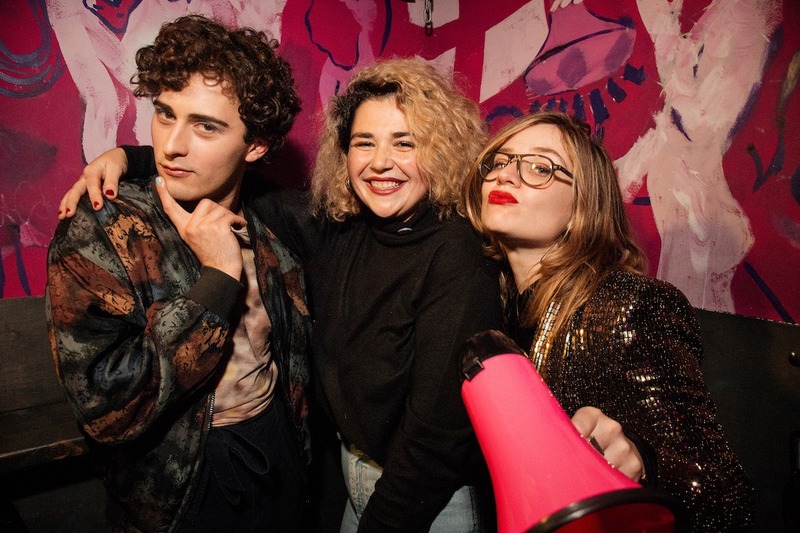 In March of 2018, Sam Campbell, Simone Leitner, and Peter Valenti hosted the first Open Flame at Mood Ring in Bushwick. 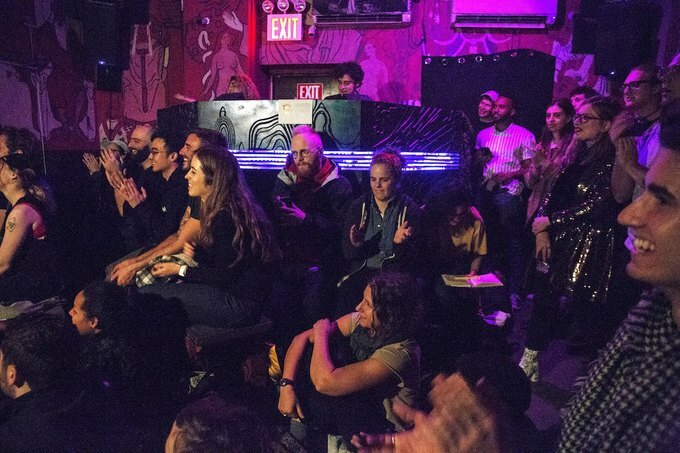 A queer comedy show that’s free for all, the Open Mic has been drawing crowds and growing quickly. The format makes everyone feel comfortable and the atmosphere is genuinely supportive. In addition to the biweekly Open Mics, they have upcoming shows at Housing Works and Littlefield. 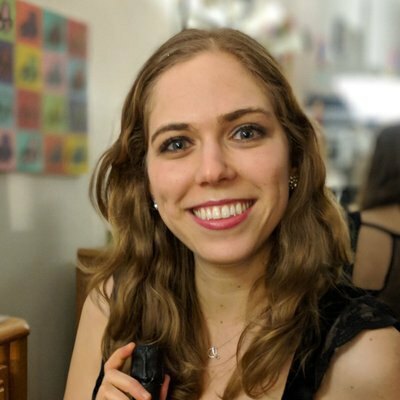 Bushwick Daily spoke to the Open Flame Team to learn more. What is Open Flame and how did you start it? 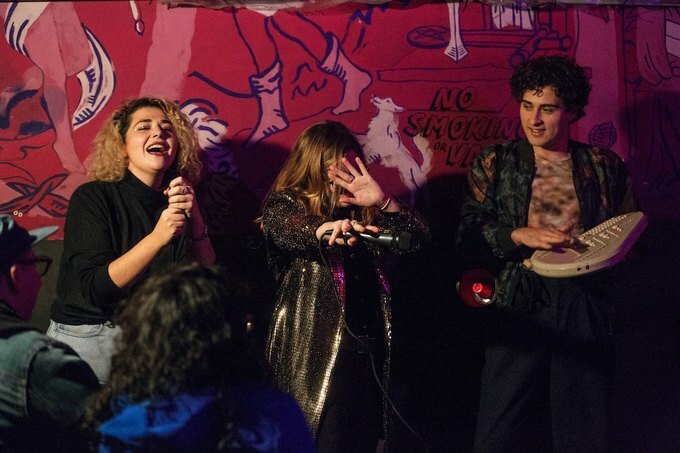 We describe Open Flame as “a queer comedy happening where an open mic meets a social.” In our hearts it felt wrong to call it just an open mic because it is so unlike any other mic we know. Plus it attracts a lot of hot queer graphic designers who enjoy comedy and Open Flame is equally about them! When we agreed Open Flame needed to happen, we also knew it had to exist in an explicitly queer-friendly space. We learned about Mood Ring through a friend and decided to check it out that same night. The space immediately charmed us and we connected with one of the owners behind the bar minutes before the fog machine broke and enveloped the entire bar in a gorgeous pink fog. We couldn’t see our hands in front of our faces but we already knew we’d found the perfect place. A couple weeks later on March 6, 2018, we hosted the first flame ever. Who are the founders and how did you meet? Peter Valenti, Sam Campbell and Simone Leitner founded le flame and continue to host it to this day, as we live and breathe. We met doing comedy around the city! BTS Open Flame operations are shared and assigned mostly based on availability and energy, mood. Everyone contributes ideas for shows, special events, and promotions, while Peter does most of our social media. At the shows, Sam lights comics to keep them under four minutes, Peter handles music and announcing performers from the booth, and Simone snaps pictures of everyone for the darling memories and instagram story. What happens at a typical Open Flame open mic? Open Flame starts at 8 p.m., but people tend to come early, get a drink, and catch up with each other before the show. You’ll see over 20 queer comedians perform, which sounds like a lot because it is! Please don’t worry though, we take a break halfway through for friends to stretch their legs and flirt or propose gay marriage. You’ll also have opportunities to learn about and give back to organizations that improve the lives of queer people in NY and around the world. This month we’re collecting donations for Housing Works, a New York City based non-profit fighting AIDS and homelessness. It’s no coincidence that we’ll be bringing Open Flame to the Housing Works Bookstore Cafe on Thursday, February 7. The show is free to performers and audiences alike, which we love. What does Open Flame add to the city's queer scene that you felt was missing? Hmm...we started Open Flame to address a need in the comedy community more so than the queer scene. Before Open Flame, there wasn’t a queer comedy event where we could meet this number of talented LGBTQ+ comics at once and look drop dead gorgeous doing it. 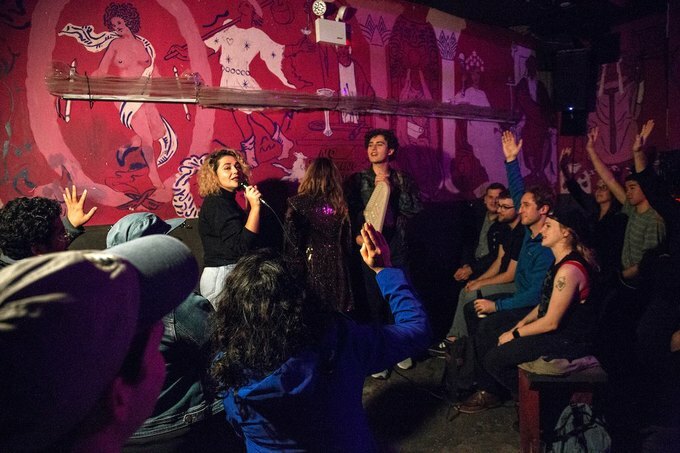 If the city’s queer scene was missing a place to practice your art, make funny friends, and sip astrology-themed cocktails, it isn’t any longer. Why is Bushwick the right place for Open Flame? Everyone we have ever kissed lives in Bushwick. What are your favorite local LGBT bars and shows? Mood Ring, obviously, is the best place to be if you’re hot and kind. Sweeties only, please. Another great LGBT show to check out is SPACE, hosted by friends of the flame! What's next for Open Flame? We’re in talks with investors interested in our idea for a gay grill. The short pitch is it’s a charcoal grill but for the gay community. We’re also throwing a big one-year anniversary show at Littlefield on Friday, March 22 featuring regulars of Open Flame and extra special guests. What's your advice for someone interested in participating? How can someone stay in touch and get more information/what's the schedule? Find us on all the socials at @openflamenyc. We’re every other Monday night at Mood Ring with lots of special events around the city every month. Sign-up forms get posted to Instagram a week in advance of the shows. All images are courtesy of Open Flame.